I like the design and I do love a challenge, but I’m not sure I’m ready for that skill level yet. 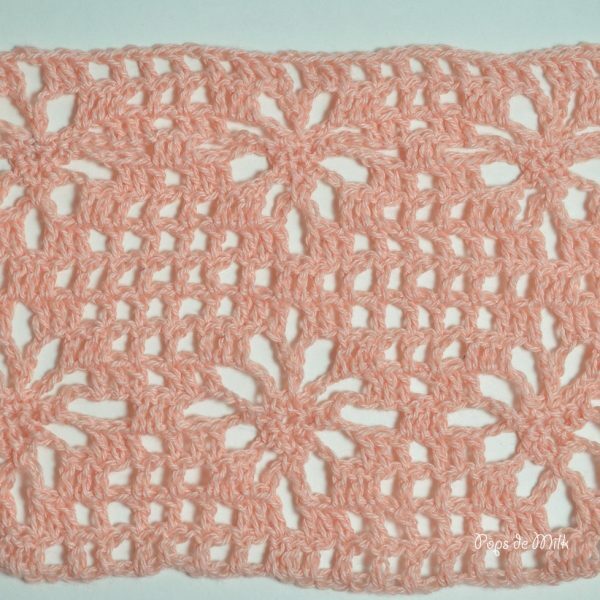 Let’s not forget how long it took me to finish the crochet lace mandala, and that was following a pattern in a magazine. 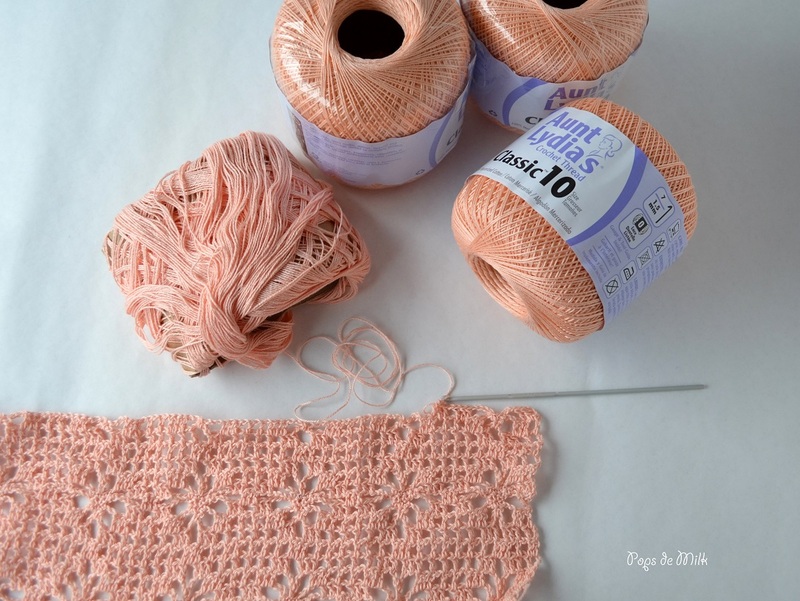 The crochet lace top will need to be a little more beginner if I want to wear it before the year is over. 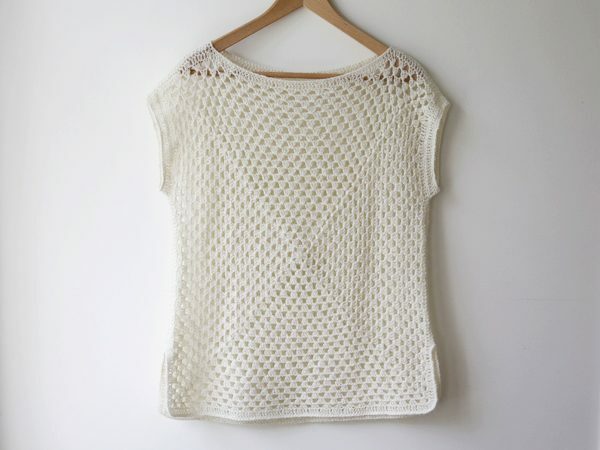 The weather is already heatwave-like (seems this year Spring took a break) and it would be so nice to have a light and airy crochet top! So this time I’ll be going with an easier pattern, less detailed, easy to see if I’ve missed a space or made chains instead of double crochets. Lace crochet, so pretty, so frustrating. 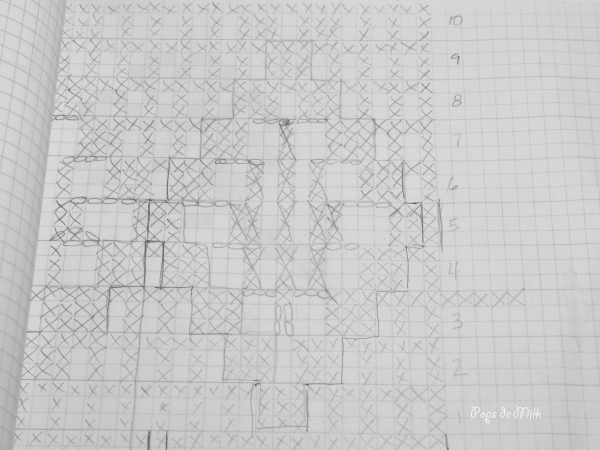 I’m also not going to design this pattern, maybe just make a tweak or two. Thanks to Ravelry and Pinterest I found a few free designs I liked. Now I just need to choose one. What do you think? My favourite is the granny square top! 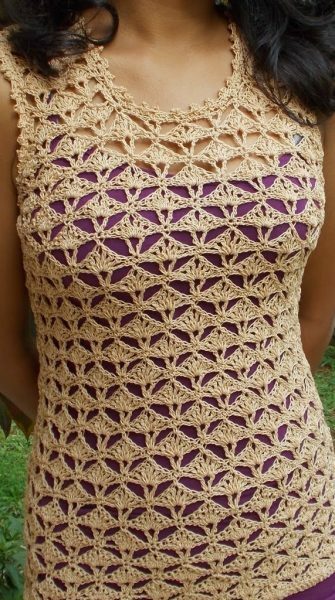 But if you wanted to get used to doing lacy patterns then the shelled top would probably be quite a good one to do. As always, I look forward to seeing what you will make!